Millford’s double parlors host a classical music concert on September 18 (visit classicalamericanhomes.org). Millford Plantation rises like a mirage from the forested hills north of the Santee River. The dining room boasts Duncan Phyfe furnishings original to the home. Millford Plantation rises like a mirage from the forested hills north of the Santee River. 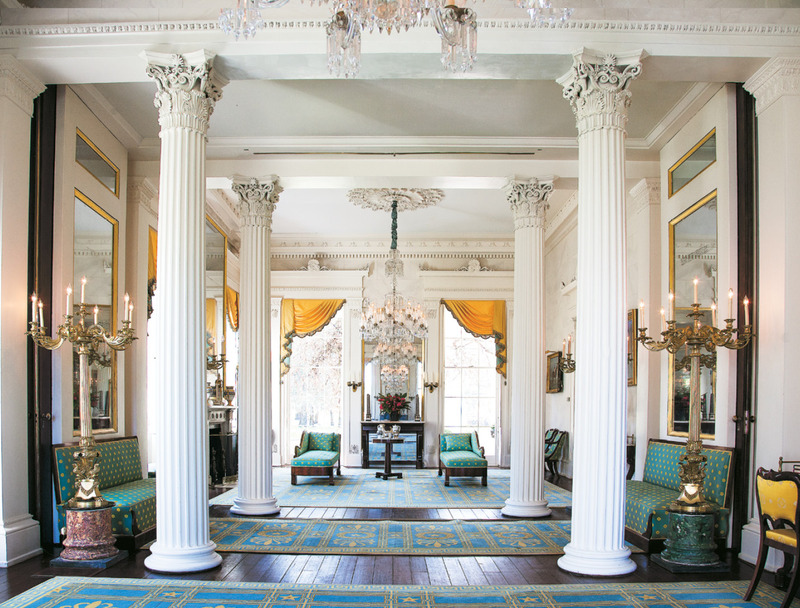 Its location may be rural, but with its fluted Corinthian columns and domed rotunda, the Greek Revival abode—this year celebrating its 175th anniversary—is every bit as impressive as its Holy City contemporaries. And that’s no accident: before future South Carolina governor John Laurence Manning and his bride, Susan Frances Hampton, broke ground in 1839, they looked 100 miles southeast to Charleston for inspiration. 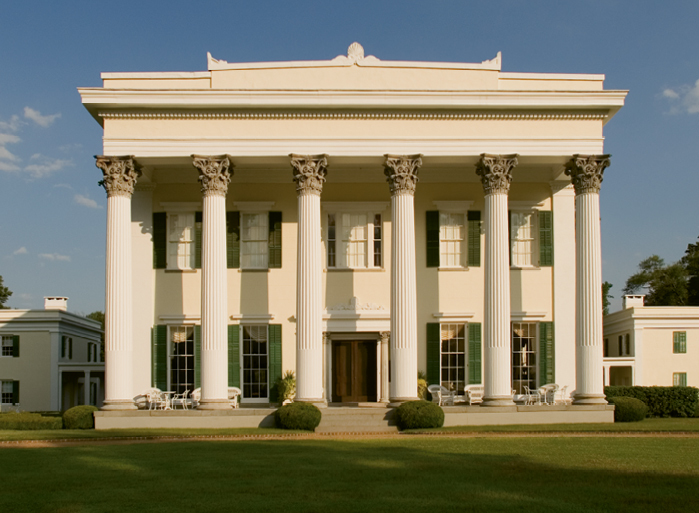 Millford miraculously survived the Civil War and, in 1992, was purchased by businessman Richard Jenrette, the force behind Classical American Homes Preservation Trust (www.classicalamericanhomes.org). 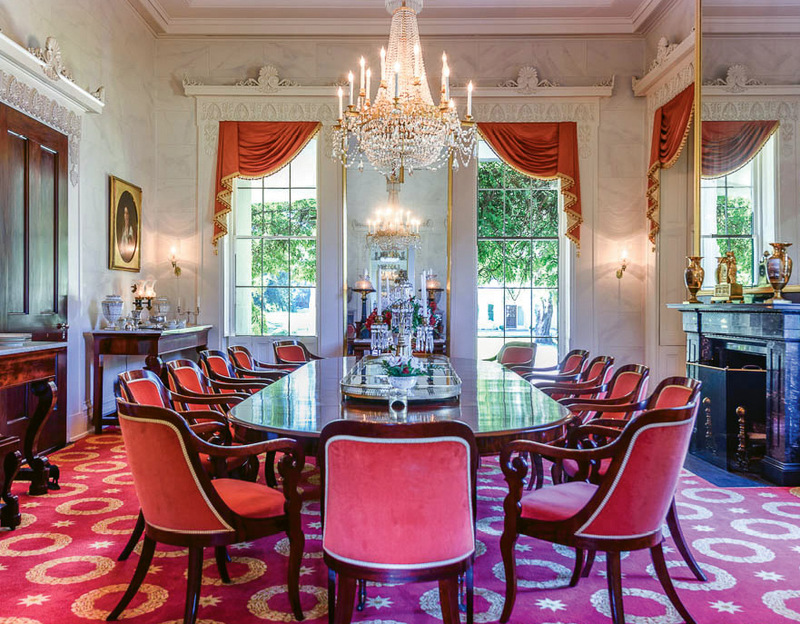 Since then, it has been painstakingly restored and outfitted with early-19th century accoutrements—including much of the original Duncan Phyfe & Sons furniture Manning commissioned. Like the five other classical manses owned by the Trust, Millford is occasionally open to the public, and this fall celebrates its milestone anniversary with two events. September 18 brings the fifth annual Music at Millford, when cellist Robert deMaine—joined by two colleagues from the Los Angeles Philharmonic—will perform a piece he penned for the occasion.